Kimberley Kay Perkins Brock was born on December 29, 1961, in Dallas, Texas. 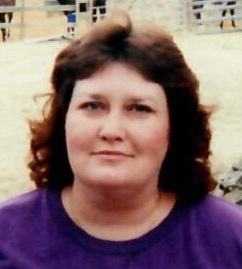 She transitioned to eternity on March 19, 2019, at age 57. Those left to cherish sweet memories include her children's father, James Ray Brock; son, Jason Brock and his wife, April; son, Jeremy Brock and his wife Kati; grandchildren: Trevor Shawver, Landen Brock, Emma Brock, and Dax Brock; mother, Barbara Gilley and her husband, Larry; siblings: Kenneth Perkins, Brian Perkins, Roger King, Amy Robertson, and Cindy Ingram; aunts and uncle: Doris Calvert, Betty Potts, Reba Miller, Lenny Jenkins, and Ronnie Perkins; and a host of other aunts, uncles, nieces, nephews, cousins, and friends.